Cast: Allu Arjun, Anu Immanuel, Arjun, Sarath Kumar, Anoop Singh Thakur, Nadhiya, Rao Ramesh, Boman Irani, Vennela Kishore, Pradeep Rawat, Sai Kumar, Lagadapati Vikram, Charuhasan and Others. Allu Arjun hasn't delivered any flops in the recent years. Even his previous flick 'Duvvada Jagannadham' ended up as Above Average despite opening to mixed talk. Now, He arrived with 'Naa Peru Surya' which marks the debut of Star Writer Vakkantham Vamsi as Director. Has this Army Backdrop-flick reached the high expectations? Surya is a Soldier who gets suspended due to his Anger Management issues. The only dream of this Hot-Blooded Youngster is to breath his last at the border while fighting for the country. To get his job back, He need to be certified as fit for the Army by Psychologist Ramakrishna Raju (Arjun). Did Surya get back into the Army & make his dream come true? Do watch 'Naa Peru Surya' in theatres near you to know the story of a Soldier who is so patriotic and ready to die for his country! Allu Arjun has delivered his career best performance. The manner in which he moulded himself to get into the skin of the character and carried the right intensity throughout is laudable. Not only did he alter his appearance and body language, but also carried the film on his shoulders. He succeeded in making viewers connect with the role of Surya and it's more like his one man show. Stylish Star is a treat to watch in the explosive action blocks and songs. Anu Emmanuel does nothing special but tried her best to earn brownie points with glamour dose. As Psychologist & Hero's Father, Arjun is too good. It's a new experience for Movie Buffs watching Action King in such a role. 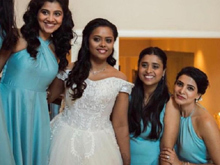 Nadhiya does a decent job. Boman Irani and Rao Ramesh have a limited screen time. Antagonists Sarath Kumar and Anoop Singh Thakur look ordinary. Posani and Vennela Kishore tickle the funny bone. Songs composed by Vishal-Sekhar are alright. Composition, Picturization and Placement of 'Sainika' song is awesome. None of the other Songs have a repeat value. Whereas, Background Score is pretty nice. Cinematography by Rajeev Ravi is one of the highlights. Visuals are in sync with the theme of the movie. Nothing to find fault with Production Values and the whole film looks rich. Vakkantham Vamsi choose a different yet honest subject for his directorial debut. He showed his mark in the characterization of protagonist and the way he presented it on the screen. He, however, failed to offer a gripping & crisp narration. The result could have been lot better if there is no lag in the movie. At least, Better Editing would have done the trick. 'Naa Peru Surya' is a sincere and honest film…That's how it's been promoted by the Makers. The first 15 to 20 minutes of the film gives the same feeling to the audience because of intensity maintained in the Army Episodes. Unfortunately, Momentum keeps fluctuating after half-an-hour. Though Allu Arjun gave his career-best performance and there are some really good moments, The directorial debut of Vakkantham Vamsi ended up as a decent film because of few short comings. Anger Management issues of Protagonist is the major attraction in 'Naa Peru Surya'. Scenes designed based on Hero's anger issues have been nice. What works against the movie is the attempts to control anger and this hampered the impact. Vakkantham Vamsi is bang on target in the first few minutes. He, however, wasn't able to maintain the same intensity till the very end and shifting focus to commercial aspects worked against the movie. Military Background generated curiosity among the Movie Lovers. The same impact can't be seen after the Protagonist leaves the Military. Anger Management issue isn't new to Telugu Audience as they have seen characterization with such a conflict point in the past too. This is why Second Half becomes a bit predictable. In addition, Antagonist Role played by Sarath Kumar starts on a good note but ends poorly. Placement of 'Iraga Iraga' song is so bad to say the least. Such forcible inclusions are unacceptable in a film which is meant to be sincere and honest. This particular dance number not only disturbs the mood of the viewers but also hampered the flow. In the second half, The film gets too preachy at times. Climax of the film should be appreciated but it mayn't appeal to everyone. 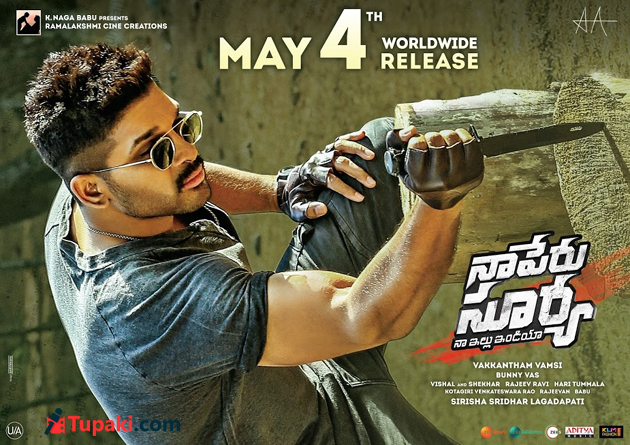 Overall, 'Naa Peru Surya' have it's share of pros and cons. Keep your expectations in check while watching this biggie! Bottom Line: Allu Arjun's One Man Show!